If you have contract workers at your company, Payable has got you covered! 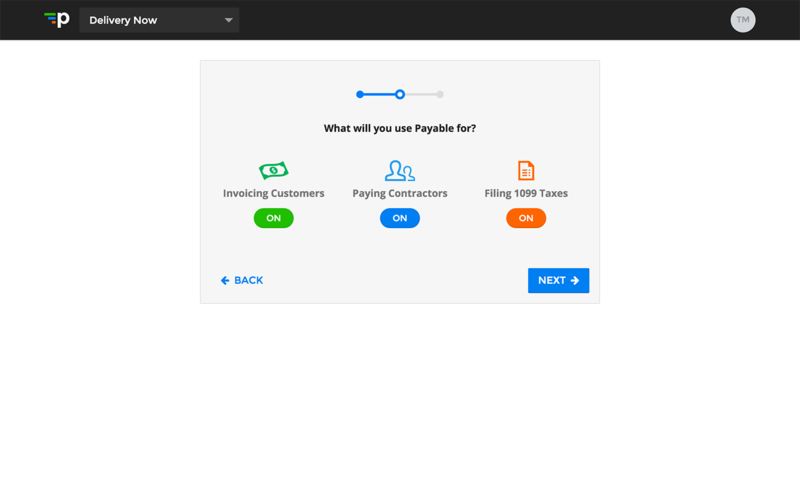 Payable makes it easy to track work, pay workers, and generate 1099 tax forms. Plus, getting started in Payable is a straightforward affair. Read on to get the step-by-step walkthrough to create your company. Go to the Payable Sign Up Page to get started. Off the bat, you'll just need your name, email, and password to get started. Your "Name" in this case is your personal name. Legal Names for corporate or tax purposes will be captured later. Most of the time, you'll want to click the big blue "Create a New Company" button (that's why it's the blue one!). 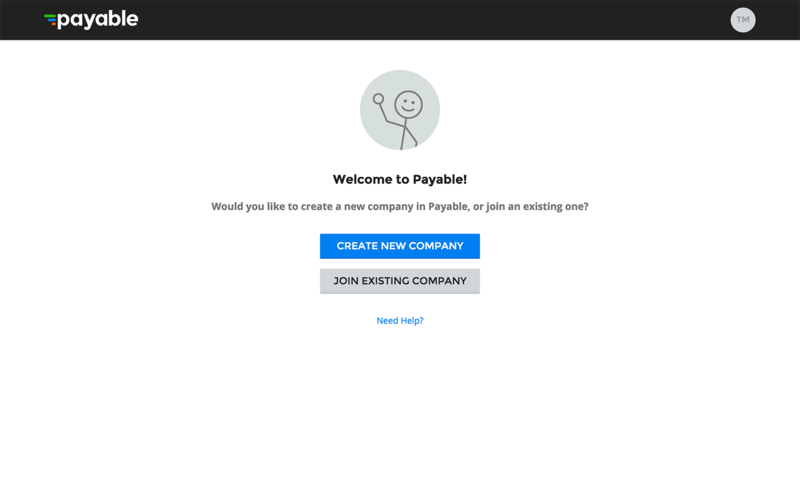 The "Join Existing Company" button is for folks who may have been invited to join Payable as part of another company (i.e. as an approver in an existing company or as a 1099 worker). Anyway, click the blue button to power on to the next step. 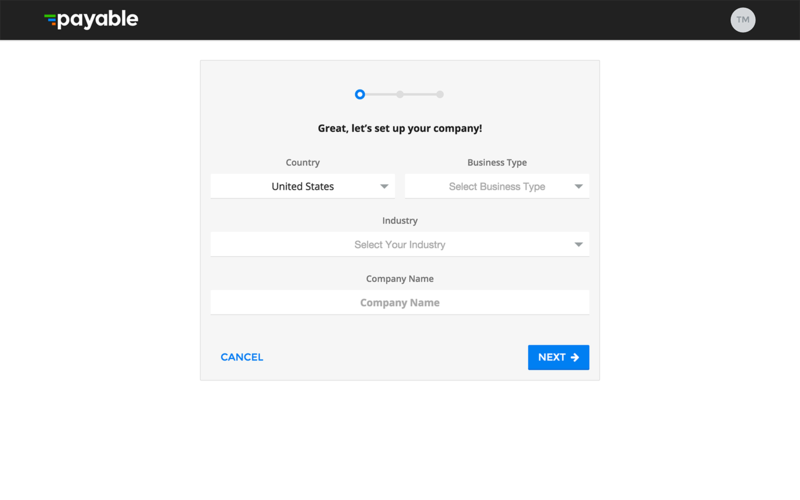 The first customization step allows you to provide necessary information about your Company. Your Business Type impacts various aspects of your eventual tax reporting, so make sure to enter that accurately. 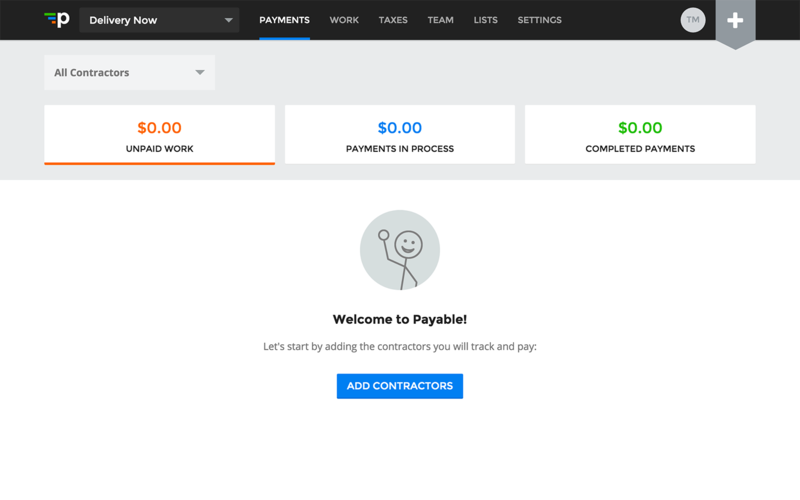 Payable's invoicing is designed for companies that track their workers' time, expenses, etc. and use that as an input to create their invoices for their customers. A Web Design firm is a great example. A team of designers track their work for a customer. That work is then automatically put onto an invoice that you can send to your customer. The customer can then pay the invoice online via credit card or bank transfer if you connect your Stripe account. Once you have more than one contractor, managing their payments becomes an unnecessary operational burden. Payable standardizes contractor payments by providing a single place for work to be tracked and payments to be calculated. It's perfect for firms with large numbers of contractors like and on-demand marketplaces. Connect your bank account to easily make direct deposit payments to your contract workers. Every year, you're required to get your contract workers their appropriate tax forms by the end of January. It's not easy. You need to make sure you've collected the required information, generate the forms, e-file them with the IRS, and deliver them to your workers. And that's all after trying to figure out if the worker needs a form in the first place! Payable handles all of this for you. We work directly with the IRS to make sure everything gets to the right place. 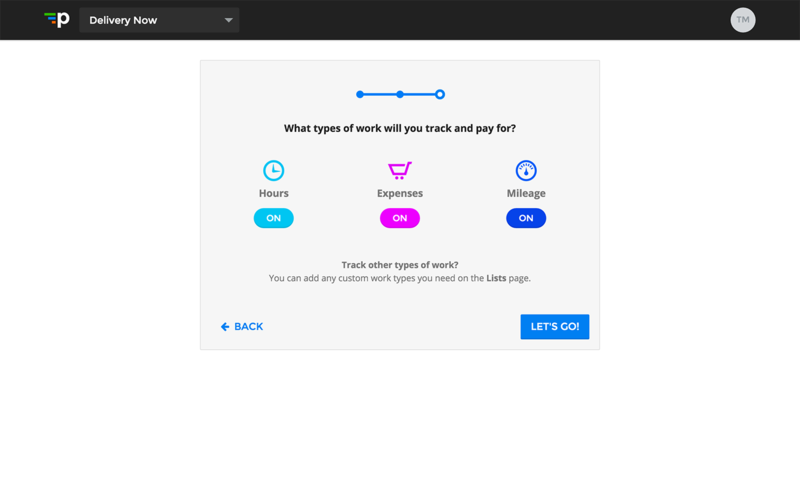 Payable can track any type of work with its Custom Work Tracking capability. We've included the most popular types (Hours, Expenses, and Mileage) as part of the initial company setup. But, if you have any other types of work you compensate your workers for (e.g. deliveries, bonuses), you can set those up from the Lists page after the initial setup. That's all there is to getting set up! 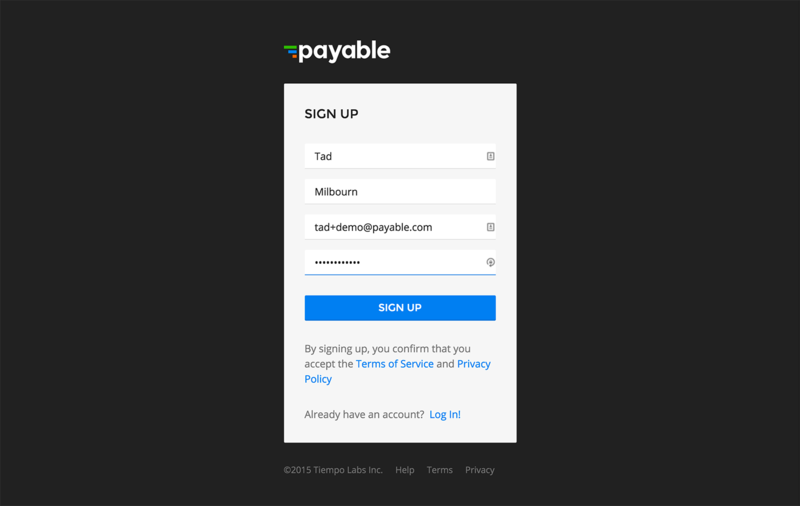 To get the most out value out of Payable, you'll want to invite your contractors, connect your bank account, and complete your settings.